A new, soft, powdered glue – KK glue. Washable and very durable. KK glue can be used on any surface that can be ironed – fabric, wood, card and paper. As with other powdered glues this product has many practical uses such a patching and appliqué however, I like to use it with stencils or sprinkled randomly and decorate it with transfer foils. Before starting your project, always do a small sample to see just how thinly you need to sprinkle the powder. To use with a stencil – lightly sprinkle the glue powder evenly – to create a thin, even layer. Carefully remove the stencil without smudging the design. Cover carefully with baking parchment and iron with a hot iron for 30 seconds. Once cool, remove baking parchment. Then lay foil, colour side up, onto the glue, cover with baking parchment and iron with a cooler iron – around wool or medium. When cool, remove the baking parchment and the foil will have stuck to your design. If you use Jones Tones or Tonertex foils I can guarantee this will be washable. This is great for t shirts. Please bear in mind that as KK Glue is a powder, you won’t get a very sharp edge to your design when working with stencils, however, the slightly distressed edge gives a softer effect. Alternatively you can just sprinkle the glue randomly as a finishing touch to your project. Less is more in the case – you don’t need a lot. Once you have sprinkled, fix with the iron using baking parchment and then foil. As the jar has a screw top you can save any residual powder and place back in the jar. There is a silica gel sachet in the jar which will help if the powder gets damp. These stencils are based on one my sketches of a shell I photographed on Moreaki beach on the South Island of New Zealand. The shell is tiny - my sketch is much larger than life size. KK Glue - a very fine glue powder. The bottle has a screw top lid so you can return any surplus powder to the bottle. This retails for £5.95 for 50g. KK Glue is washable up to 40 degrees but when using with transfer foil, the transfer foil is only washable up to 30 degrees. 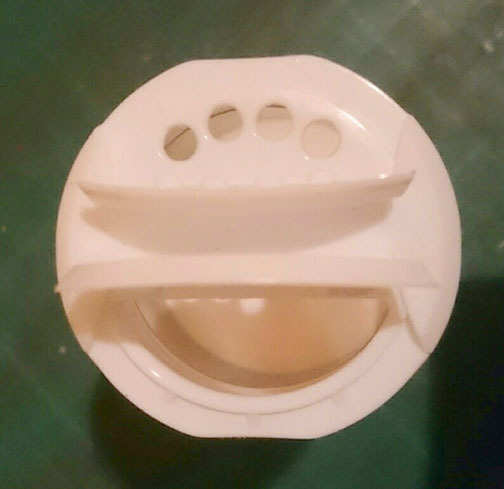 There are holes on one side of the cap for sprinkling, the other side is for pouring. You don't need very much KK Glue when working with transfer foils. Please do a test before you go launching into a project. You will be surprised at how little you need. Step 1 - LIGHTLY sprinkle the KK Glue over the stencil. I have decorated a piece of black cotton, it could be a T shirt or a pair of jeans. Step 2 - very carefully remove the stencil without smudging the design. This can take practice. If you make a mistake is is easy to shake of the powdered glue onto a piece of baking paper and pour back into the KK Glue bottle. Any surplus powder on the stencil can be shaken back into the bottle in the same way. Step 3 - Very carefully lay a sheet of baking paper over the whole design and iron with an iron on hot till the glue has melted and looks dark. Approximately 30 seconds. This will fix the glue. Leave to cool. Step 4 - remove the baking paper once your work is cold and you are ready to decorate your KK Glue shape with either foil or a combination of foil and gilding flake - see further down this post. To foil your design, turn your iron down to the silk/wool setting. If the iron is too hot the foil will pucker and not release it's colour. Place the transfer foil COLOUR side up over your design. Lay a sheet of baking paper over the the transfer foil and then iron the layers for 30 seconds.Leave to cool. Once the foil is cold, remove the transfer oil. You design should be covered in in the foil. You will be left with a piece of foil with the design removed - keep it! To use up the foil with the design removed - iron a square of Bondaweb/Vliesofix onto your T shirt or fabric using baking parchment to protect your iron. When cold remove the backing paper from the Bondaweb/Vliesofix. Lay your foil with the design removed over the Bondaweb/Vliesofix. Lay a sheet of baking paper over the foil and iron with an iron on wool/silk for about 30 seconds. When cold, remove the foil from the square of Bondaweb/Vliesofix. Your design will be transferred to the Bondaweb/Vliesofix. But it doesn't stop there . . . . As there is now exposed Bondaweb/Vliesofix in the negative space of the design. You can iron a contrasting colour over the whole design. Does that make sense?? I used a lime green foil to fill in the exposed glue. The finished design with the two colours of foils. And then of course you are left with another piece of foil with the design removed which you can iron onto Bondaweb/Vliesofix. . . . . and so it goes on . .
You can decorate the KK Glue design with all manner of sparkle, I love to combine gilding flake with the transfer foil. Work through steps 1 - 4 and you will be left with your fixed KK Glue design. Sprinkle the gilding flake over the fixed glue. Lay baking paper over the gilding flake, try not to create a draft as the flake is very light and will be blown out of place. Iron with an iron on wool/silk for 30 seconds. When cool - remove the baking paper and rub away any loose gilding flake. You will need to be quite firm when you do this. Any loose flakes will stop the foil from adhering. Once you have removed the loose flakes, cover the design with transfer foil, colour side up. Cover the foil with baking paper and iron with an iron on wool/silk for about 30 seconds. Leave to cool. Once cool, remove the foil and it should have filled in spaces where the flake didn't cover the glue. This will give you a very rich, metallic effect. let your imagination run riot. I hope you have enjoyed this - I just love this process.